This game is for those, who lives any mystery and other strange things. As you know in the real dungeon could be a lot of enemies. And you have to fight with them, you must stay alive. Do everything right and vanquish this game. Good luck to you! You have a great chance to create your own character. Sink into the unreal world and customize your character and enter a world full of wonderful stages where you can fight evil enemies, develop your own story and enjoy your way. 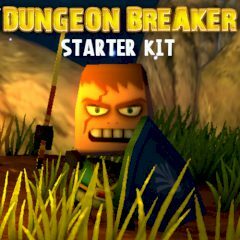 Enjoy in this fun dungeon defenders the game. If you are ready to enter the dungeon, then do not waste your time and do it! You keep dying in those pesky dungeon crawlers. Maybe you just need some practice? Defeat all the enemies and clear the dungeon. Is everything clear? Then just go ahead and you will love it!